The Jeeva Naadi doesn’t require a thumb impression. The text to be delivered appears instantaneously based on the question asked by a seeker This reading happens if only the reader and seeker are blessed and destined. This seeker gets his/her advice for critical issues in life. ‘Don’t look a gift horse in the mouth’, they say. Unlike humans, horse’s teeth continue to grow with age. Yes it is ingrained in all of us to criticize about the things we get, irrespective of the purpose behind. Be warrior like and wear a relaxed look however unpleasant the criticism may be. It is the time to extend a helping hand for others. How many problems does a man confront in his lifetime Those who are afraid of facing the problems, face only obstacles in their lives. On the contrary, those who face the problems bravely and want to find solutions to them, undertake efforts to resolve them. One or more yantras like Ganapathy Yantra, Sree Yantra, Chidambara Chakra, Vyabara Vasiya Yantra, Raja Yantra, Sampoorna Yantra, Arabia Yantras etc are available to improve the business by attracting more customers. 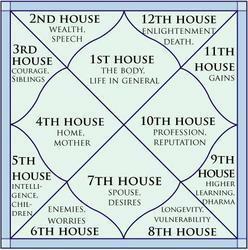 Also vastu yantras available. 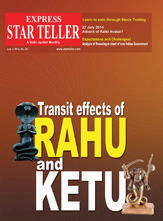 Ask just about any question and our vedic astrologers will answer it. Our vedic astrologers will answer your question by analyzing your Personal horoscope, Running periods, Varshapal promise and Transit prospects. Live Astyrological consultation is provided by efficient ande trained Astologers.